France Head coach Jacques Brunel has made a number of changes following his side's loss to Wales in the opening round of the Six Nations. 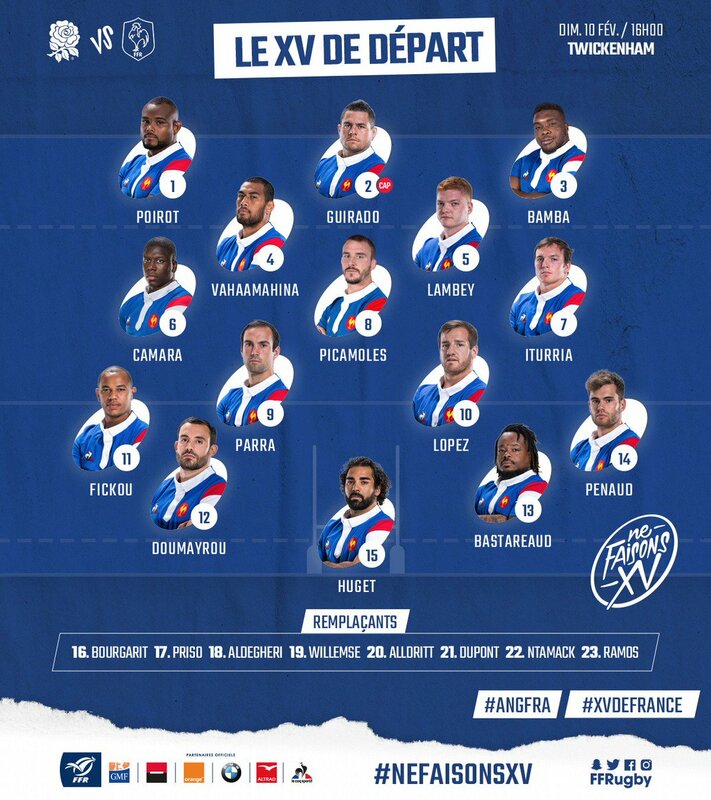 France vice captain Mathieu Bastareaud is back in midfield alongside Geoffrey Doumayrou - the same pairing who helped beat England last year in Paris. With Romain Ntamack moving to the bench and Wesley Fofana dropping out of the 23. Maxime Medard misses the clash with an injury which sees Gael Fickou come onto the wing while Yoann Huget moves to fullback. Yacouba Camara comes into the back row for Wenceslas Lauret while Felix Lambey gets the nod ahead of Paul Willemse in the second row. Livewire halfback Antoine Dupont also replaces Baptiste Serin on the bench. Finally, Demba Bamba will make his first start in the front row with Uini Atonio out injured.